Forced to marry Umar Sani, 35, who was already married to one wife and two children, upset 14 year old Wasila Umar from Yansoro village, Gaya Local Government Council of Kano state, mixed rat poison with the husband’s food two weeks after their wedding, leaving three dead and 11 others hospitalized. The Kano State Government charged the 14-year-old bride with culpable homicide punishable by death. 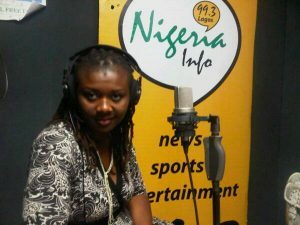 This cruel charge slammed on Wasila Umar was the focus of the July 17, 2014 radio conversation – Child Bride and the Law – on Info Nigeria FM 99.3, featuring Spaces for Change’s executive director, Victoria Ibezim-Ohaeri. Early marriage, often without the consent of the very young brides is quite common in most parts of northern Nigeria. In Wasila’s case, she was forced to marry an older man contrary to her wish to be sent to school to get an education. During the one-hour radio conversation, Ms. Ohaeri expansively highlighted and discussed a wide range of legal and social issues affecting child brides, especially the implication of forced early marriages on the rights of the girl-child to education – a right espoused and protected under the Child Rights Act of 2003. The UNFPA reports that only 2 percent of 15–19-year-old married girls are in school, compared to 69 percent of unmarried girls. Section 277 of the Child’s Rights Act defines a child as anyone below 18 years of age while Sections 21 and 22 of same Act criminalized child marriage and betrothal. One thorny legal issue is the enforceability of the Child’s Rights Act in Kano State considering that the state is among the few states that are yet to pass this statute into state law. Another legal challenge is the dysfunctional juvenile court systems in Nigeria, forcing child offenders to be submitted to the regular courts that hardly factor in the specialized needs of minors. You would recall that Section 29(4)(b) of the 1999 Constitution underlining the ‘full age of marriage” in relation to renunciation of citizenship caused a legislative uproar across the country. Sadly, Nigeria’s parliamentarians failed to seize that moment to strengthen legal protection of children from hurtful relationships that endanger their physical, emotional, mental and psychological wellbeing. Wasila’s case has presented another golden opportunity to human rights advocates, legal and judicial scholars, lawmakers and stakeholders to reopen that conversation and critically rethink the issue of improving child protection systems in Nigeria, particularly as it relates particularly to forced early marriages.